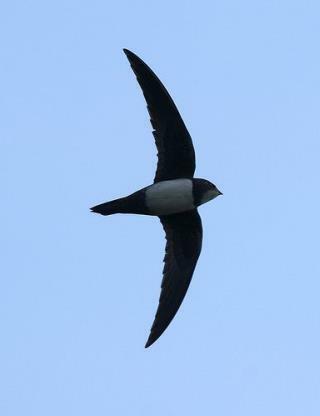 (Newser) – When Alpine swifts head south for the winter, they don't mess around: Researchers have discovered that the small birds fly nonstop for six months, reports the Los Angeles Times. The Swiss scientists attached ultra-light sensors to the birds before they took off from Switzerland to Africa, then did a double-take when they examined the data upon the birds' return. "We were totally blown away,” one tells Smithsonian. "During their non-breeding period in Africa, they were always in the air." Must be defense mechanism. I'm wondering if the military paid for the research though. I'm jealous. I can stay in the air for 6 hours before my arms get tired. Yeah, but how many coconuts can they carry? That's all that really matters.